Hot-off-the-presses snaps from some new items at Dominique Ansel Bakery. Hopefully, later this week I’ll report on the desserts from Star Chefs Pastry Competition competitor, Ashley Bruaze from DB Bistro Moderne. 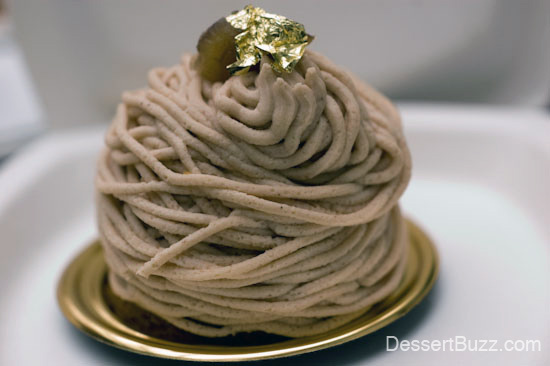 The Mont Blanc, despite being named after the highest mountain in the alps (see, you can learn something from a dessert blog! ), is actually a light-ish dessert. 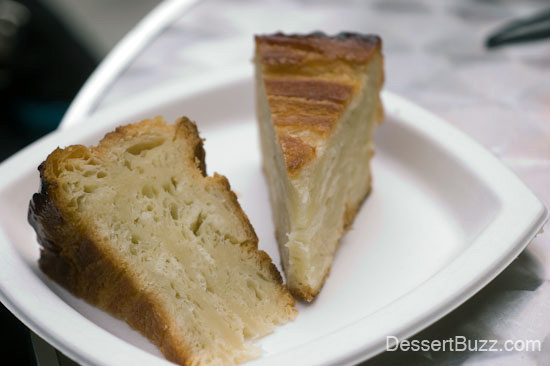 You could easily have a slice of the new extra-large kouign amann along with this and enjoy both. If you need some savory to break things up you can add some dairy-free mushroom soup. The Mont Blanc is chestnut mousse, candied chestnuts, homemade orange marmalade, Tahitian vanilla meringue, and a drop of whipped cream. 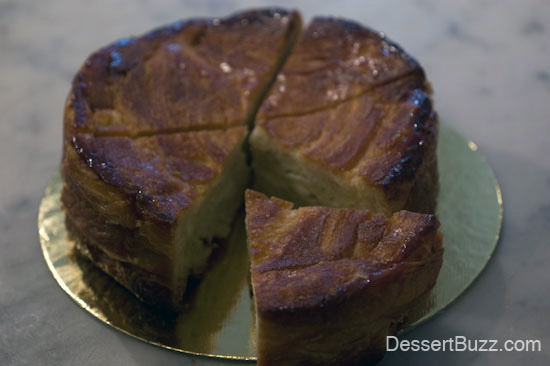 The XL DKA (Dominique Kouign Amann) is just like the individual DKA, except in a cake slice form. 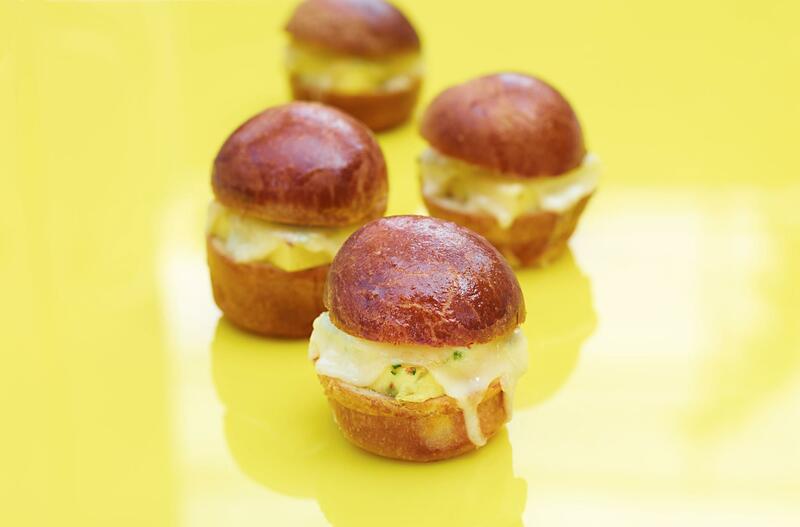 Seasonal off-the-menu “Black Truffle Perfect Little Egg Sandwich” — only available through Urban Daddy–you can’t roll up and get it at the bakery unless you got to Urban Daddy first, no matter how many caneles you buy. Link to purchase is here (only a few hours left!). Sneak preview of Ashley Brauze’ desserts from DB Bistro Moderne. 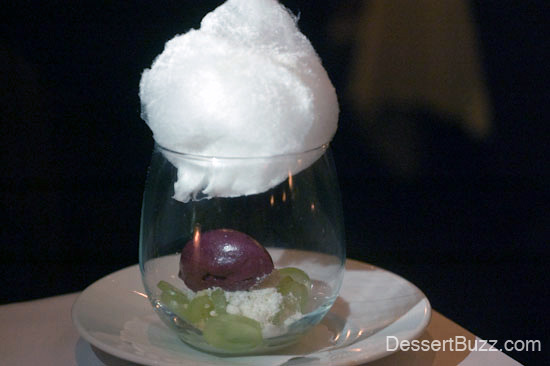 Check out this cool terrarium-style concord grape sorbet, grape slices, cotton candy. More coming soon. Dominique Ansel Bakery is located on 189 Spring Street (Sullivan). Their website is here. More coverage of Dominique Ansel Bakery on DessertBuzz is here. Don’t forget to followDessertbuzz on Twitter.